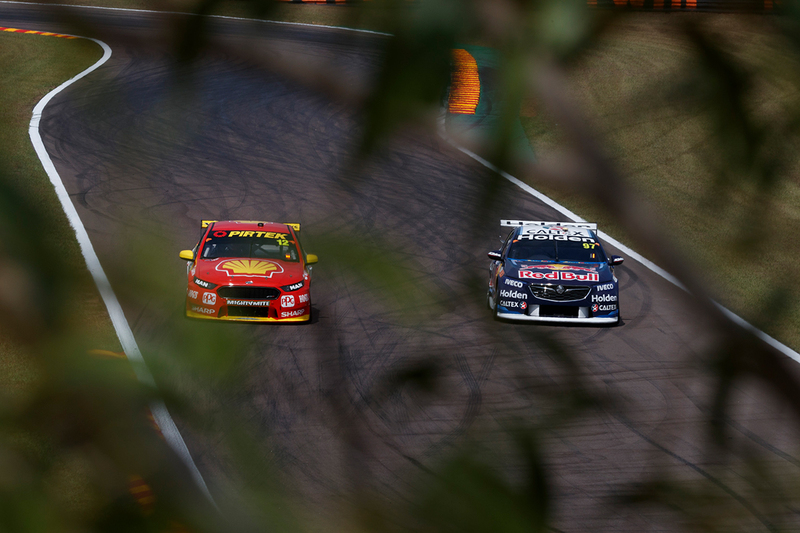 Shell V-Power Racing’s Falcon leads the way on pure pace so far in the 2018 Virgin Australia Supercars Championship. 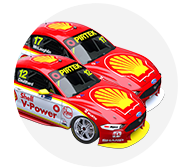 The Ford squad sits atop the drivers’ – with Scott McLaughlin – and teams’ championships after 16 of the year’s 31 races. Led by McLaughlin, its haul of seven race wins and ARMOR ALL Poles is imposing enough, but the team is also an average 0.3% quicker than its rivals across seven circuits. That is based on numbers compiled by Supercars.com, tracking the fastest lap set by each team at each race meeting. The times – whether recorded in a practice or qualifying session or race – are then converted to a percentage of that weekend's outright fastest, which is represent as 100%. Each team's efforts are then averaged across the number of circuits for a final, season-wide percentage. McLaughlin has set the fastest lap in five of the seven weekends so far this season, a key factor in his outfit’s running average of 100.0463%. 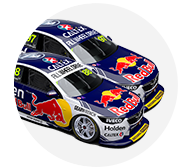 That means it holds a 0.3069% advantage over Triple Eight, on 100.3532% from its Red Bull and Autobarn Commodores. Erebus Motorsport’s title challenge with David Reynolds is reflected with third place on 100.4683%, while Tickford is fourth, its fortunes often better before racing starts. Brad Jones Racing, Nissan Motorsport and Mobil 1 Boost Mobile Racing fill the next three spots. The first-year Milwaukee Racing is the best of the single-car outfits with Will Davison. When the numbers are scaled back to focus on fastest race laps, though, the Shell Ford is fourth in the order. Holden teams fill the top three places; Triple Eight leads the way on 100.2373%, shading the Walkinshaw Andretti United and BJR Commodores. WAU and BJR have set the fastest race lap of a weekend twice, including for the latter in Perth and Darwin, where tyre strategies played more of a role. Notably, the importance of looking after the tyres early in stints means the fastest lap often doesn't represent the actual fastest car in races. DJR Team Penske is just fourth in the ranking, ahead of Erebus and Tickford, which drops two places from the weekend-wide standings amid its tough run, and Nissan. Highlighting the competitiveness of the series, 0.5% covers the top eight teams in this measure. Dunlop Super2 Series graduate Matt Stone Racing is at the base of both tables with rookie Todd Hazelwood and its new-for-2018 Bigmate Falcon. Coming in at 101.5408% on the weekend-wide pace, it is 0.5048% closer to the leading team when only race laps are considered.